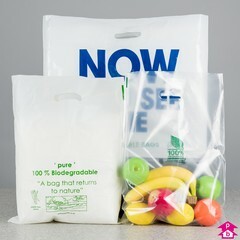 Polybags provides you with the widest variety of clear and coloured stocked carriers to suit your specific product, including vest, patch and premium handle styles in both standard and biodegradable materials. 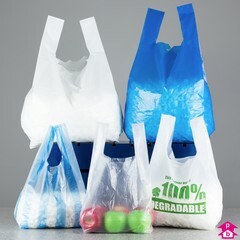 (To print your own design on your carrier bags please see our printed carrier bags section). 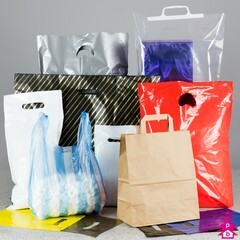 10 Products. 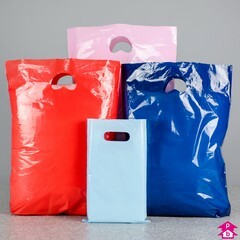 An assorted range of giant carrier bags, the largest carriers we supply. 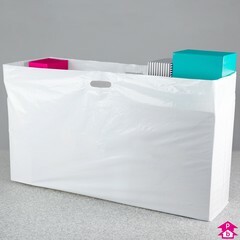 Big and strong enough to hold bedding, toys, suits, gowns and other bulky items; perfect for getting those unwieldy soft toys home if you have an unexpected win at the fairground! 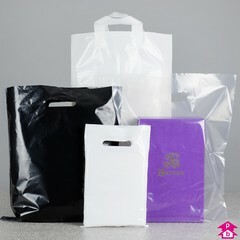 3 Products. 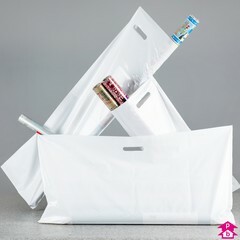 Carrier bags that are tailor made for carrying rolls of wallpaper or rolls of gift-wrapping paper. 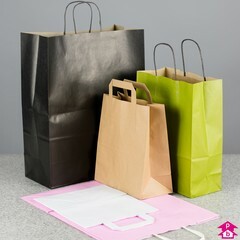 A range perfect for home decoration shops, DIY retailers, hardware outlets as well as stationery shops, card shops and newsagents.